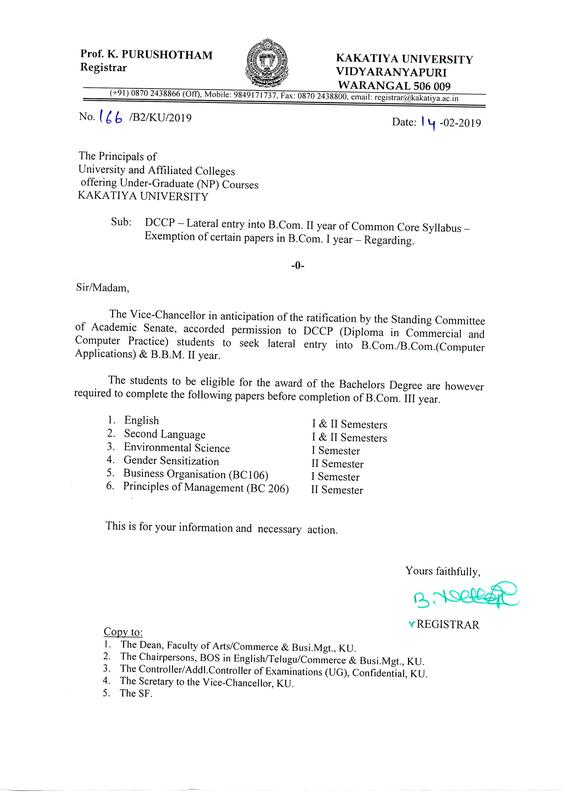 ﻿ Kakatiya University, Warangal-506009, Telangana, India. Kakatiya University was established on 19th August, 1976 to fulfil the aspirations of the Telangana people for higher education. It is located in the historical city, Warangal, the erstwhile seat of the Kakatiya rulers. The founding of the University was in fact a historic event that heralded a new era in the realms of higher education of this region. The erstwhile Post-Graduate Centre of Osmania University was upgraded and named Kakatiya University. The University, began its journey as PG Centre Warangal in 1968 under aegis of Osmania university with only four Departments, viz. Telugu, English, Chemistry and Mathematics. The Departments of Physics, Botany, Zoology, Commerce, Public Administration and Economics were added later. The B. Pharmacy course which was started by Osmania University in 1974 was shifted to KU in 1975. Sealed quotations are invited from the appropriate firms for IC Engine Lab, Electrical Work items. Sealed quotations are invited from the appropriate firms for Machine Tools and Metal Cutting Science Lab, Electrical Work items. 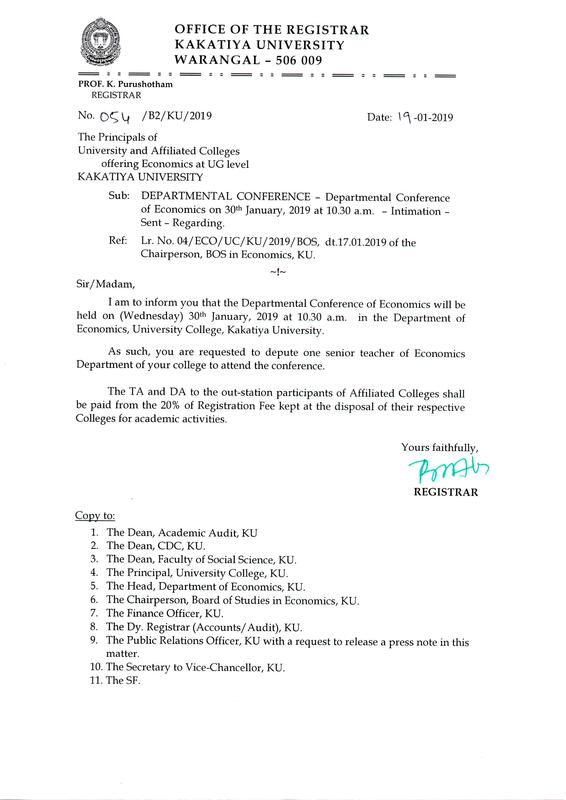 Departmental Conference of Economics on 30th January, 2019 at 10.30 a.m.